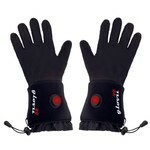 Comfortable heated gloves, rechargeable long life battery, even heat distribution, suitable for sports and everyday use. 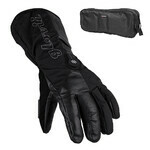 The Universal Heated Gloves Glovii GL2 will keep you warm even during the coldest days. 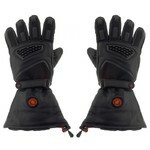 There are carbon fibers on the entire surface on the gloves, which provide the heating. These fibers not only provide even heat distribution, but also emit infrared rays which help improve blood circulation. They are extremely reliable and have a long service life. The 3 heating modes allow you to adjust to the current weather conditions. The rechargeable lithium battery can last as long as 6 hours. 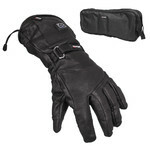 Made of a comfortable material, the Universal Heated Gloves Glovii GL2 provide excellent thermal insulation, thus keeping your hands warm. The tightening cord on the forearm ensures a perfect fit. You may also appreciate the touch screen fingers (the thumb and the index finger). 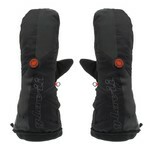 The Universal Heated Gloves Glovii GL2 are suitable for both sports and everyday use. Note: Do not wash heated clothes in a washing machine. It is recommended to only clean the surface with a damp cloth and a small amount of cleaning product. In case more thorough cleaning is necessary, please secure and insulate the power cord. Never wash the product while the battery is connected. 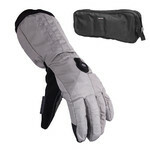 This special type of gloves includes a heating unit that is charged by a lithium battery, keeping your hands warm. 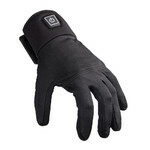 Gloves with thermal insulation are suitable mainly for cold or winter weather. Insulation is provided via added insulation material that accummulates warmth and prevents its loss. 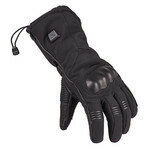 A wrist strap will keep your gloves perfectly in place, eliminating any danger of them slipping out of place.